Wynn Resorts selling project to Sheldon Adelson? Wynn Resorts is close to selling the Everett casino project according to credible rumors coming out of Las Vegas, a source has told the Leader Herald. Casino magnate Sheldon Adelson is said to be the buyer, according to the source. Adelson owns the Venetian in Las Vegas and casino interests in Macau. Industry sources say Adelson’s private life is impeccable and his public life speaks for itself. 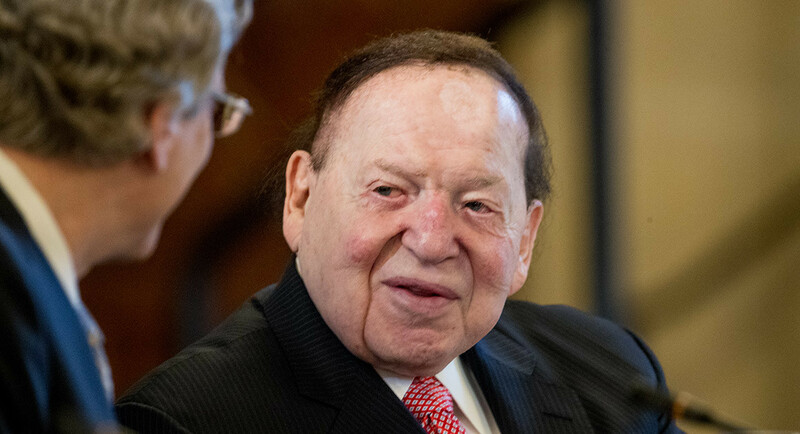 Adelson is one of the richest men in the world. Reports that he may be buying the project tends to confirm the belief that the Gaming Commission is going to pull the license if Wynn Resorts remains the owner. Also, the Wall Street Journal has been calling around to find out if construction at the facility has slowed in any way – as this would be a sure sign that ownership might be changing. All this speculation is consistent with Gaming Commission Chairperson Steven Crosby’s statements issued at last week’s commission meeting that caused a great stir throughout Everett and in the Massachusetts gaming community about what the commission is planning to do. “They proceed at their own risk,” Crosby warned the Wynn Boston Casino and Hotel group. The message wasn’t aimed directly at the group but rather, was for general consumption by the public and on Beacon Hill, where Governor Charlie Baker and Attorney General Maura Healy have spoken out against Wynn Resorts maintaining its name on the property and Healy more aggressively expressing that perhaps the license should be taken away by the Gaming Commission. Such a scenario and new appointment would make it difficult for Crosby to steer the commission where he wants it to go. The Leader Herald mentioned Adelson two weeks ago as one of two possible buyers for the project. Adelson, who is Jewish, is a Republican and a staunch supporter of Israel. He also supports countless charities and philanthropies. He comes from Dorchester, Massachusetts where he grew up in humble circumstances.